This is my first wire and beaded necklace. A good friend's first piece inspired me to do something similar. The 10 mm round stones are aventurine and the dichroic beads were something I picked up at Michaels Craft Store. 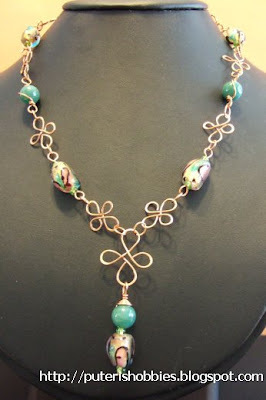 The metal is copper and the green and copper go quite well together. 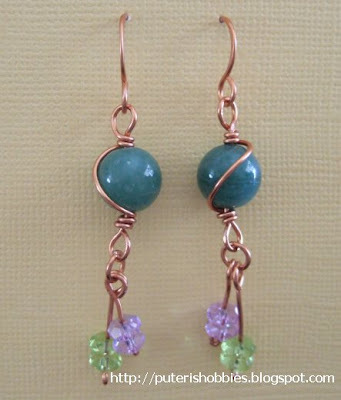 A pair of ear-rings to go with the wire and beaded necklace.